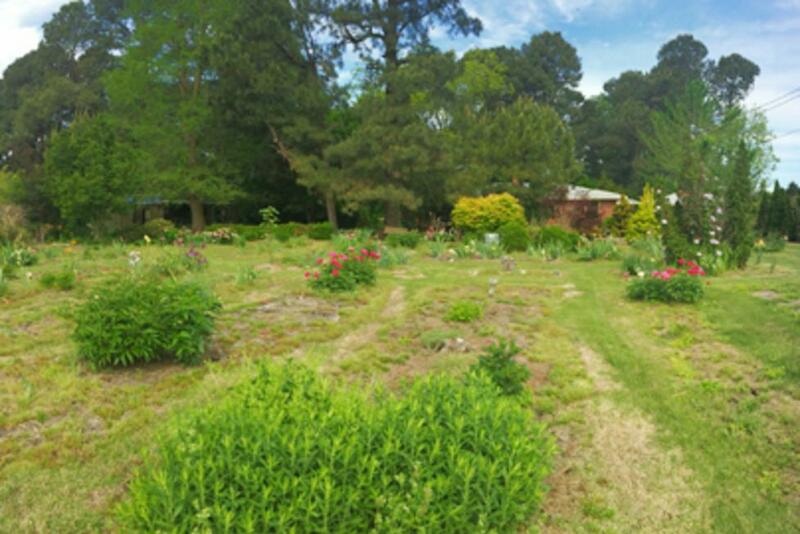 For those that live in Princeton, NC and for those who understand the patient dedication of horticulture, Powell&apos;s Gardens off Hwy 70 has always been a place known for tranquility and excellence. 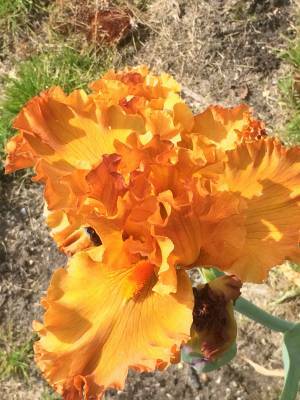 For over 50 years Loleta Powell has grown and sold only the best blooms of irises, lilies, and hostas. The Johnston County Visitors Bureau recently discovered that this will be the last year Powell&apos;s Gardens will be open. And so, I recently sat down with Loleta to discuss her history, her love of gardening, and to capture the legacy of this wonderful and nurturing woman. Loleta Powell started gardening at age 5. She admits that it could have been before that, but 5 is her earliest recollection of having her own little garden. Both her grandmother and her parents were gardeners and they taught and encouraged her to plant her own seeds. This early experience with nature led to a lifetime of cultivation. Loleta graduated from Meredith College in 1941, "back when the building were wood and not brick", she jokes. It is easy to tell from speaking with her that she maintains a deep love for her alma mater. She began her collegiate career as a Home Economics major but soon found it to her disliking, "you cook something and there it is, and you eat it, and it&apos;s gone". Searching for a way to channel her creativity into something more permanent she eventually graduated with a degree in English. She was married in 1945 and when her husband returned from the service they bought a house together. Since then she has moved her home and her garden twice, but has never not been surrounded by flowers. She taught English in the public school system for 12 years and maintained her garden as a hobby until a friend urged her to enter a flower show. At that time she decided to leave the school system and garden full-time. And so, Powell Gardens has existed for over 50 years and in its current location is around 3 acres. Not just a graduate, Loleta is also tied to Meredith as the creator of the college&apos;s official flower, shown in the picture to the right. The Meredith College flower is an iris called a Meredith Hues and is planted in multiple locations on campus including the fountain near the Cate Center and near the Alumnae House. 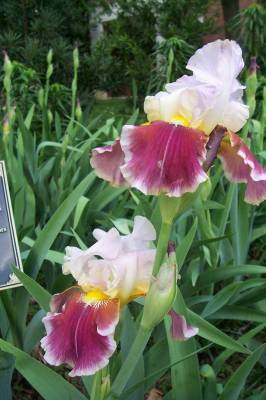 Loleta cross bred different iris and ended up with an iris that had white standards and red falls, the colors of the college. "Standards" is the term for the petals of an iris that stand up and "falls" is the term for the petals that bend down. The iris is her favorite of all flowers. Loleta says that the thing she loves most about gardening is the fragrance, being able to walk through the garden or sniff the breeze and smell what is blooming. She also loves giving things what they need and watching them prosper. She mentioned how much she enjoyed teaching too. But then that makes sense, for what else is teaching but to nurture a group of children and to cultivate their knowledge so that they can grow and achieve their potential. Powell Gardens also has the biggest collection of hostas on the east coast and Loleta&apos;s interest in them began when she read about them in a gardening book. Hostas thrive in shade and so in order to grow hers she first had to grow trees to create enough shade for them to flourish in. She became a member of the American Hosta Society. Loleta said that the best piece of advice she can give people interested in gardening is to be willing to learn all you can about the plants you are going to grow, read and stay informed, and most importantly remain in contact with other people who grow those plants. When asked what sort of plant is the most challenging to grow she thought for a moment and replied, "annuals, like geraniums, even though they are popular. I have no use for them. You put all that energy into growing something that you only get to see once and it&apos;s gone." She prefers perennials because they come back year after year. She also grows vegetables and fruits. Her favorites are corn and watermelon. She remains as active as she possibly can and all of her children help her in the garden. She said, "my life is a book of things I used to do and still want to do, but can&apos;t anymore." She still tries and she proudly claimed that, "there&apos;s not a lazy bone in my body". It was certainly a humbling experience to sit outside in the warm sunshine and enjoy the spring breeze with her, surrounded by her life&apos;s work. Despite her inability to see or hear very well in her advanced age she could point with precision to each area of the garden and tell me about everything in bloom. It is easy to tell that she takes great pride in her work, and so she should. Everything I see in the garden seems to be greener, or brighter, or more fragrant than seems possible. Or maybe that is just because when you speak with Loleta you can see the garden through the eyes of someone who has tended it with joy every day of her life. "The best part of gardening, "she said, "is seeing things grow into what they are intended to be."